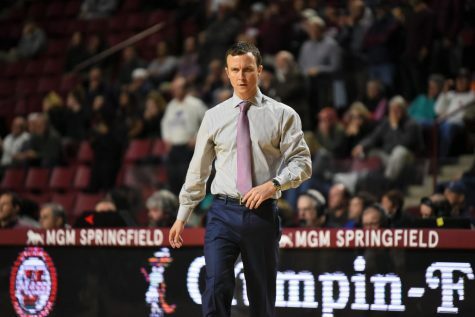 After being covered in 3-pointers in its 69-53 loss to Saint Louis on Wednesday, the Massachusetts men’s basketball team is in need of a confidence booster. 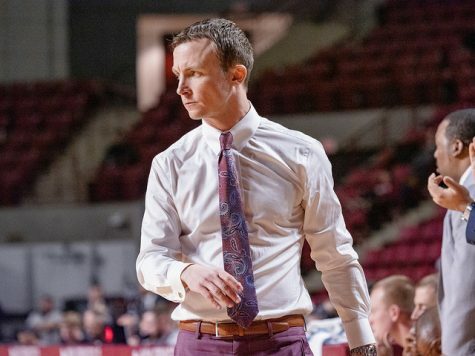 Wednesday night’s affair against the Billikens snapped a two-game winning streak for the Minutemen, as well as a three-game conference road streak that they had going. Instead of traveling back to Amherst following the loss, UMass went right on its way to Saint Joseph’s. 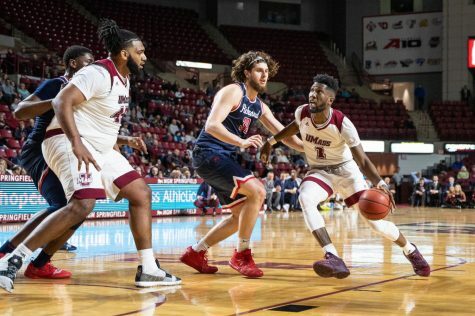 On Saturday night, the Minutemen (13-8, 5-3 Atlantic 10) will have a chance to gain some of their lost confidence back as they face SJU, which is riding a 10-game losing streak. 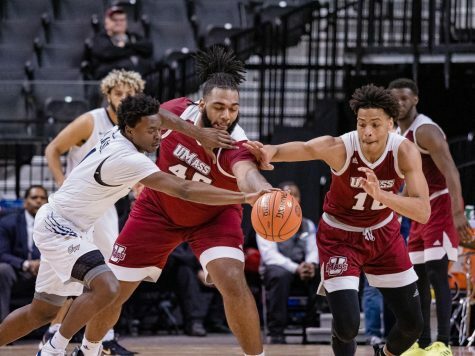 For a team like UMass, which has had a relatively tough schedule this season in the A-10, the game against the Hawks (5-17, 0-8 A-10) gives the Minutemen a break from top-tier opponents and pits them against the bottom team in the A-10 table. The Hawks boast two players in double-digits for scoring despite their low record, including Carl Jones, who is in fourth in the A-10 in scoring with 17.9 points per game, which is two spots below Gurley. Langston Galloway also averages double-digits in scoring for SJU with 10.8 per contest. More intimidating is his ability to steal, as Galloway is tied for ninth in the conference with 31 steals and a 1.5 average per game. Along with Galloway’s ability to steal, the Hawks’ defense also has a top shot-blocker to its credit in C.J. Aiken. 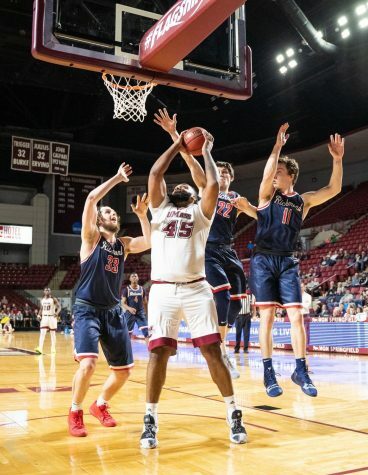 Aiken has 83 block shots on the season and is averaging four blocks a game, which could put a defensive wall on the Minutemen who like to drive into the paint. 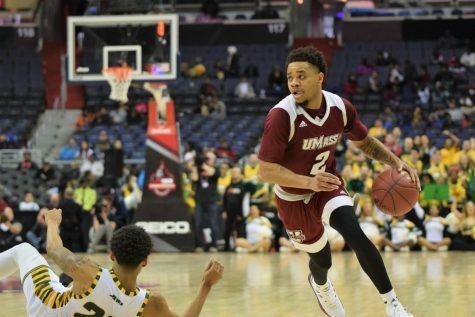 On Wednesday night, UMass outscored the Billkens inside the paint, 36-16. 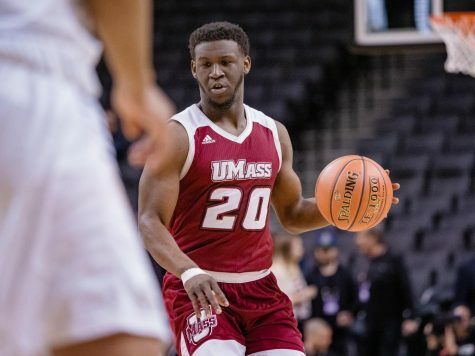 In the last meeting between the two sides, from the Mullins Center, UMass held the Hawks scoreless for the final 10:49 of the game, and went on a 16-0 run to shutdown the SJU side, 70-62. Gurley scored 15 points in last year’s contest, and will look to put on a repeat performance during this weekends affair. “[He’s] starting to get back to the Anthony Gurley we all know and love,” Kellogg said on Gurley’s performance after the game. Conversely, Jones, who leads the Hawks in scoring, put up seven points against the Minutemen, which was the team’s fourth highest during that game. 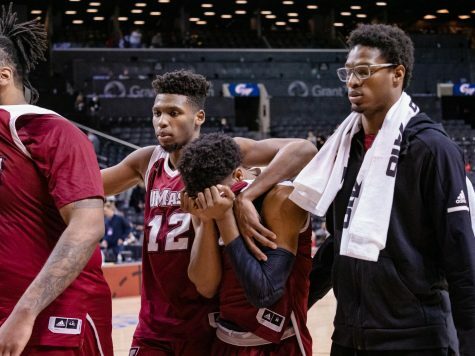 Neither team shot particularly well in last season’s affair, with UMass going 20-for-57 (39.1 percent) and SJU shooting just over 40 percent. The victory came on Valentines Day and was the first win after a five-game losing steak for last-season’s Minutemen. 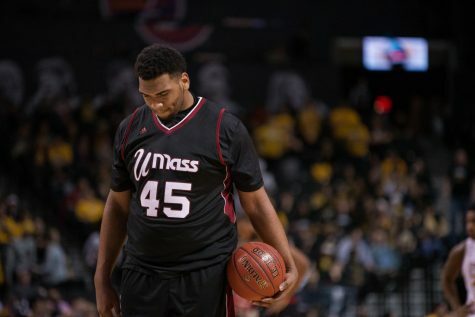 Following the victory, UMass went on to lose four-straight competitions. 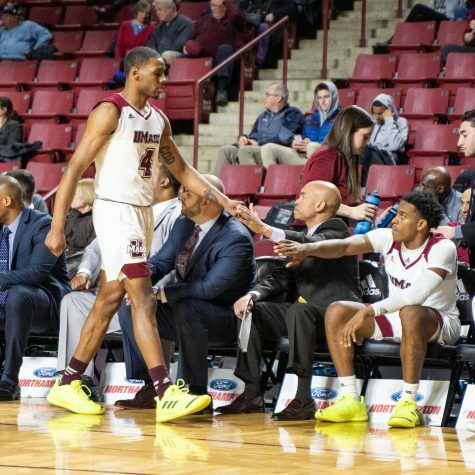 This game will also be a good place for UMass to catch a breather, as the team will make the transition from playing the worst to playing the first team in the conference. Next for the Minutemen are George Washington and Duquesne, who rank eighth and first, respectively. With the undefeated-in-conference Dukes on the horizon, the Minutemen will be looking to release all their faults and mistakes on the lower-ranked SJU this weekend.